$50 OFF Mail In Rebate! Your smile is the first thing most people notice. Fortunately, options abound for getting a whiter smile. Unfortunately, there are so many options that it can be difficult to know where to start. 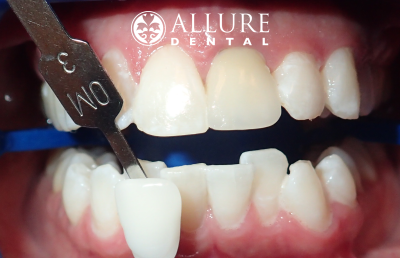 At Allure Dental, one of our primary goals is to provide insight into your choices so you can make an informed decision. From over-the-counter strips to custom trays, the teeth whitening market has become big business. Patients with minor whitening needs, or who would like to freshen up a previous professional whitening treatment, may find some success with these options. We particularly like the take-home kits that include custom trays that we make to fit your teeth. This allows the whitening solution to cover the entire front of your tooth, as opposed to the pre-pasted strips that cannot whiten around the curved surfaces. For a faster, more effective result, we are pleased to offer our patients two well-known systems: Zoom and Kor Whitening. Dr. Daniela believes strongly in offering the best options to her patients. Whitening systems are no exception. With all the choices available today, it is important to narrow the field and work consistently with the top performers. 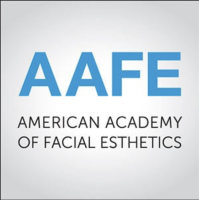 If you have questions about either of these products, or if you would like to schedule a consultation to find out which is the best fit for you, call our office. Another great in-office whitening system, KoR has a solid reputation for its whitening ability—particularly when it comes to the always-difficult tetracycline stains. If you have had sensitivity to other systems in the past, KoR may be a great fit for you as well. With KoR, the in-office session lasts for 60-90 minutes. Its whitening mechanism is different from Zoom and does not involve a light. However, like Zoom, KoR also has options for home whitening. Many patients ask for Zoom by name because of its reputation for fast, noticeable results in just one treatment. Our team will carefully protect your mouth and gums with a protective barrier before we apply the whitening solution. 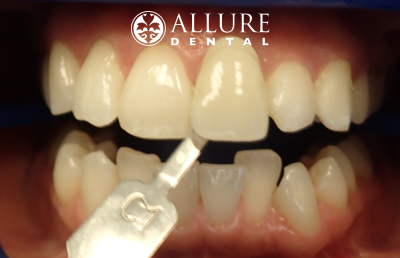 Our special LED light further activates the whitening power of the solution. Once your whitening is complete, we apply a gel to protect your new smile and to help with any sensitivity. We also provide custom trays and whitening solution for you to take home, so you can extend the life of your bright new smile. Many of our patients ask several key questions when they are considering in-office whitening. We are always happy to provide insight and make recommendations based on your specific case. How long will my results last? Results vary, based on a lot of factors. Many people realize that certain foods and beverages have stronger staining effects than others. Additionally, some people’s enamel is simply more agreeable to the whitening solution, and shows a better, longer-lasting result. On average though, the positive effects of in-office whitening can last up to a year. What about whitening my crown? Whitening systems will not change the color of any dental work. So, while your crowns or veneers will not change, your surrounding teeth will. This can be a good thing if you see changes to your natural teeth that now make your dental work more noticeable. But if your dental work and your natural teeth currently match well, we do not recommend completing teeth whitening that will change the cohesive coloration. Is in-office whitening safe for sensitive teeth? While both systems report little patient sensitivity, there is always a bit of a risk of some sensitivity following treatment. If you know you have a history of teeth sensitivity, bring this up with us at your consultation so we can talk more about your past experiences and decide if either of these systems may work for you.